KayKiSpeaks.com: Chilli & TBoz on board with VH1 to premiere TLC Movie! Chilli & TBoz on board with VH1 to premiere TLC Movie! Looks like one of the most legendary female groups of all time has signed on for a film with VH1 that will finally tell their story! TLC which consists of Tionne TBoz Watkins, Rozonda Chilli Thomas, & Lisa Left Eye Lopes has one of the most intriguing industry stories. Few artists have had as high of highs or as low of lows as these three women. Their incredible successes are shadowed by their seemingly unbearable struggles of financial troubles and loss. Through it all Chilli & TBoz remain an inspiration to many! VH1 just reported that the two living members of TLC have signed on with them to produce a film that will share their story! The film is the first of a few bio pics that the company has signed on to do. I know as a TLC fan Im really excited to watch it! Check the full press release after the jump! Congrats to Chilli & TBoz! LOS ANGELES, CA – December 01, 2011 – Building off the success of the scripted movie “Single Ladies” and its follow-up hit series, VH1 is getting into the TV movie business with a series of scripted bio-pics featuring musicians and pop culture icons. 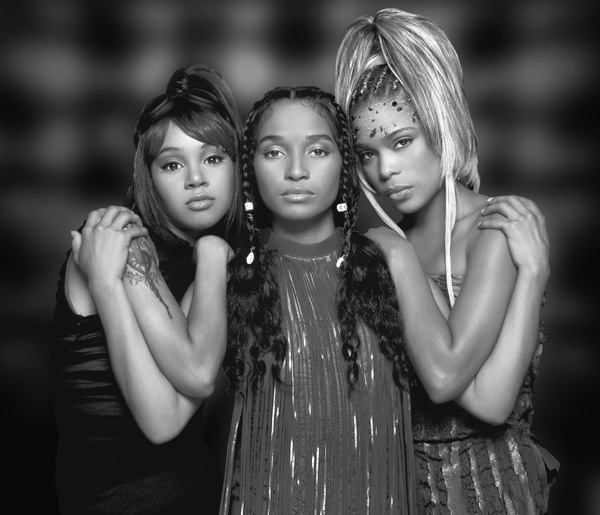 The dramatic story behind the legendary ’90s R&B/hip-hop/pop trio TLC will be featured in the first TV movie for VH1 in this series. The two surviving members of the group, Chilli and Tionne “T-Boz” Watkins, have signed on as consultants and executive producers for the movie. Acclaimed screenwriter Kate Lanier (“What’s Love Got To Do With It” and “Beauty Shop) has signed on to pen the bio-pic. Kate Lanier who has penned numerous scripts featuring female protagonists including the hits “What’s Love Got To Do With It,” “Beauty Shop,” and “Set It Off,” will write the script for VH1.